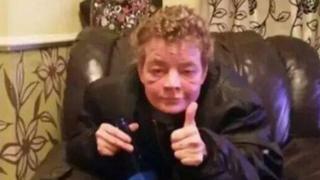 Angela Wrightson, 39, was subjected to a seven-hour attack in her Hartlepool home by the pair in December 2014. Both girls, who were not named in court because of their age, were jailed for a minimum of 15 years in April 2016. The High Court is due to consider whether the ban on identifying the killers can be extended indefinitely. The girls' legal team has already obtained an interim injunction extending their anonymity, although one of them has now turned 18. The original trial judge, Mr Justice Globe, imposed reporting restrictions preventing the media from identifying the girls, on account of them being under 18 and due to their vulnerability. Mr Justice Globe halted a first trial at Teesside Crown Court and imposed a ban on reporting the second hearing months later in Leeds after he was alerted to hundreds of social media posts written about the girls. Ms Wrightson, known locally as Alco Angela, was attacked after allowing the girls into her Stephen Street home to drink alcohol. A subsequent inquiry into the case found care home staff could not lock doors to prevent the older girl from running away and it heard that she had a chaotic family life. After the attack, the girls boasted to friends about being given a lift home by police, who were unaware of the murder.